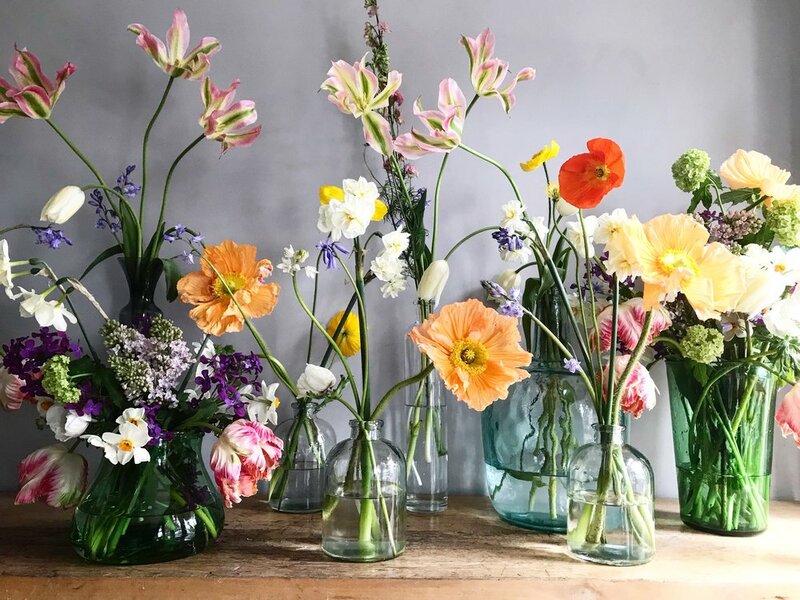 Flowers brighten up the dullest of days, they lift our spirits and with so many varieties to choose from, they say so much about who we are and the life we live. A beautiful seasonally inspired bouquet is the perfect gift to oneself, a loved one, a friend or even a colleague. Whatever the occasion, I will wrap it up and scribe a message expressing love or good wishes. Because I am not a shop, I buy all my flowers to order, this means that I require a minimum of 24 - 48 hours notice. Please note the workshop is usually closed on Sundays and Mondays. 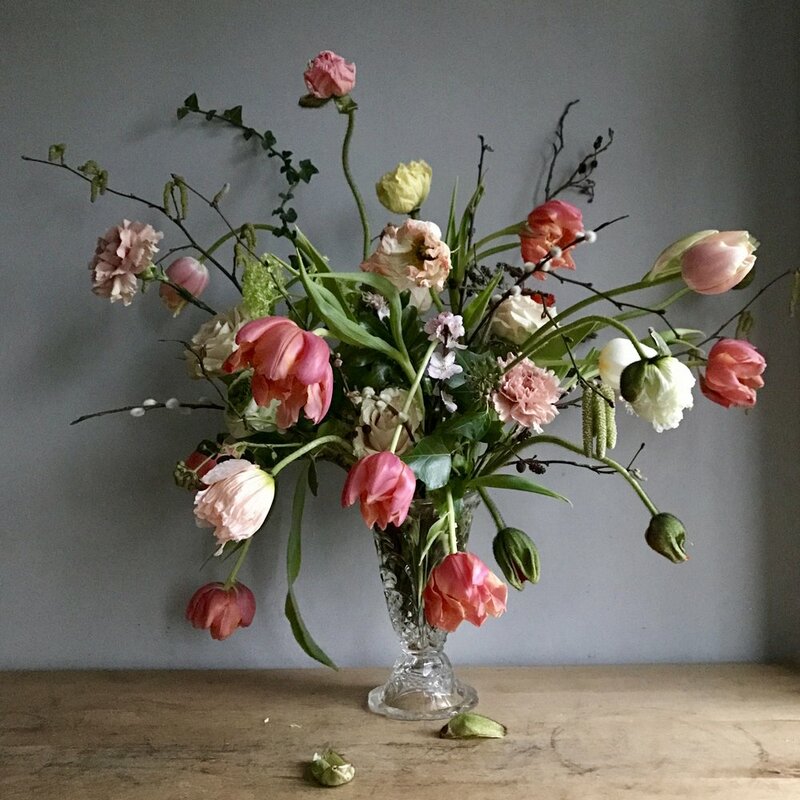 From a bouquet of the season's best in bloom, to a gorgeous table centre for a special party, I arrange flowers to suit any occasion. 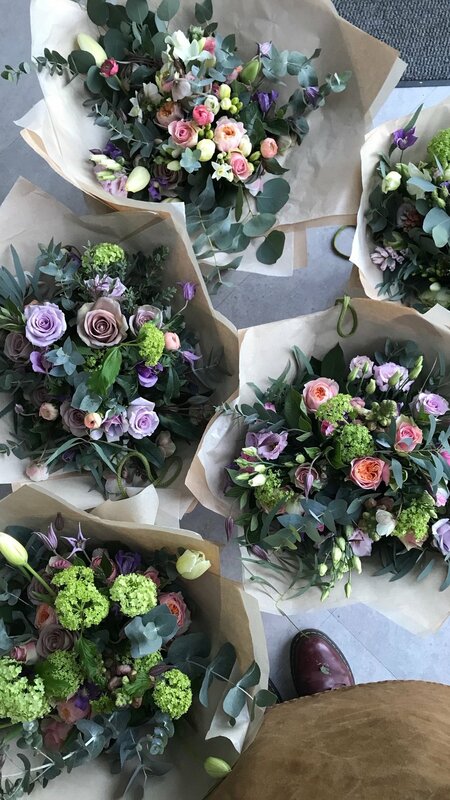 Hand-tied bouquets start at £50 - I can sometimes arrange for local delivery subject to my working schedule, please be aware that I am first and foremost an event florist and that there will be times when this service may not be available. 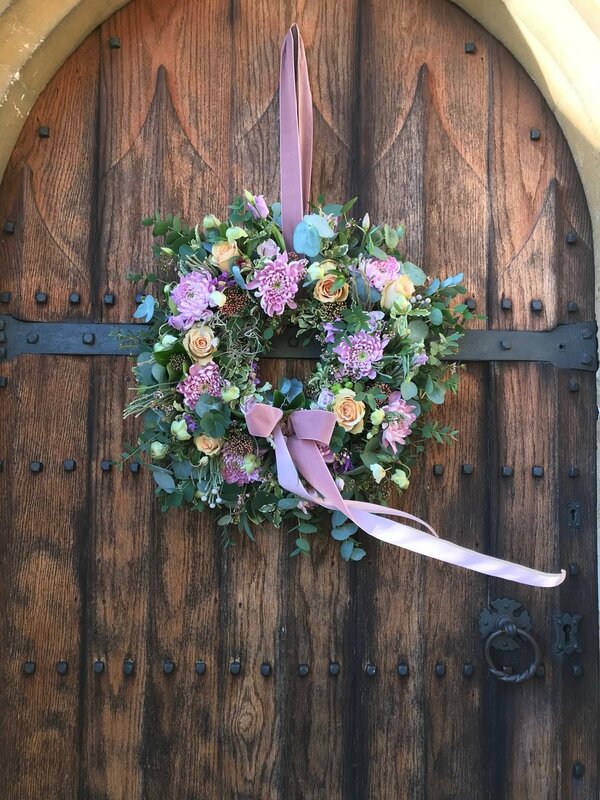 I make sumptuous door wreaths to order to suit any door large or small, modern or traditional and guaranteed to cause door envy in your neighbourhood! They make perfect gifts too and can be made from the very start of the festive season. 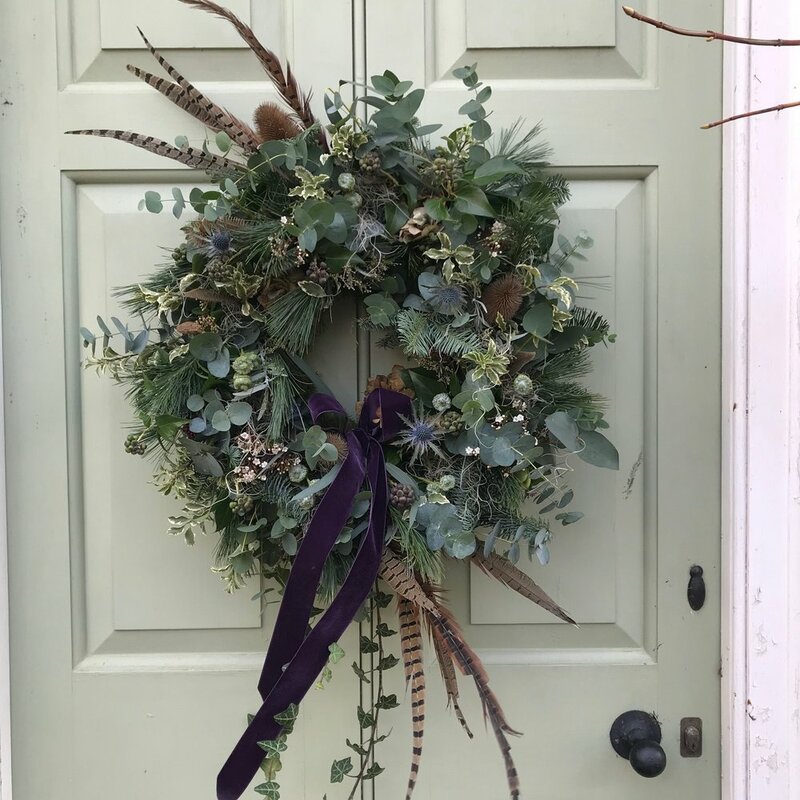 Fill your home with beautiful scented seasonal festive cheer, from garlands down staircases or draped over mantles to dining table centrepieces stylishly dressed for all the season's celebrations. Subscription gifts - the gift that keeps on giving.. 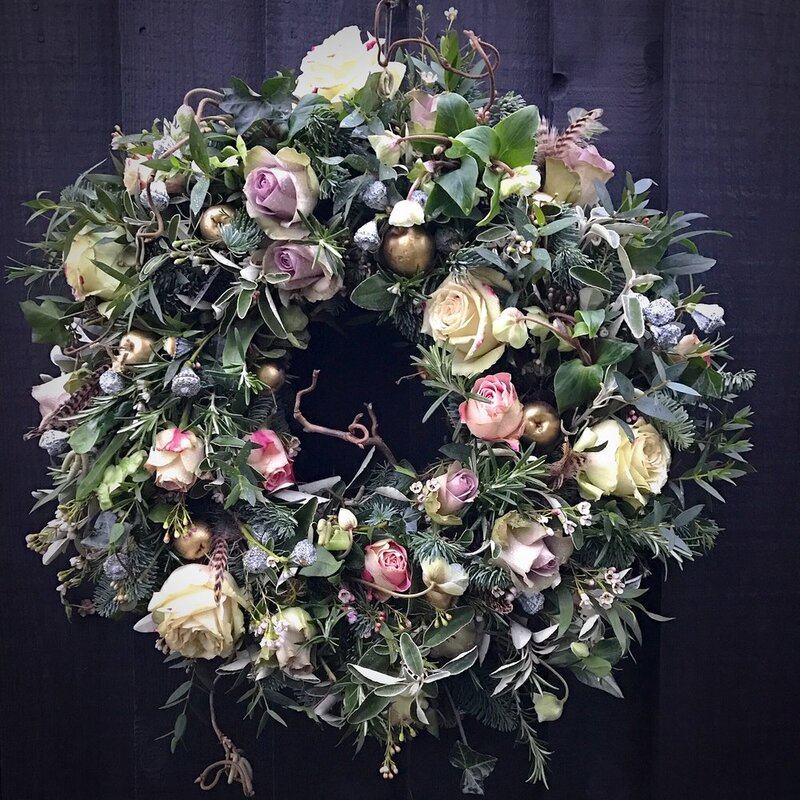 This could be a for three, six or twelve months and include a seasonal arrangement, a spring bulb planter or a beautiful hand tied bouquet - each month, something different. "I can honestly say they are better than I ever imagined and when I think back to when I first walked in the room, while you were still setting up, it still brings a tear to my eye, and they were simply stunning."